Happy World Science Day for Peace and Development. This all important day takes place on the 10th of November and highlights the imperative role of science in the community and the absolute need to engage people far and wide in public debates on emerging scientific issues, is celebrated annually. 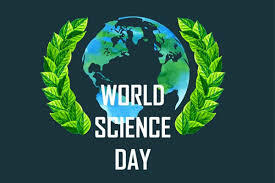 As much as we don’t always stop to think about it, science plays an extremely important role in our live and this special day also highlights this fact. The theme for this year is “Science is a Human Right” in celebration of the 70th anniversary of the Universal Declaration of Human Rights (art. 27) and of the Recommendation on Science and Scientific Researchers. If we think back on all the big household names in science since Copernicus, the list is neverending. Names like Louis Pasteur and Einstein changed the way we look at life forever and ensured that the world evolved rapidly. If we read up on scientific research today however, it’s all about the money. Scientists unfortunately have to rely on the big moolah, bigger teams and backing by the government to come up with the latest and greatest inventions and next big cure for a life-threatening disease. As we all know, government spend is not entirely focused on finding a cure for cancer or superb research into environmentally friendly cars in South Africa. Just like a right to education and freedom of speech, every human being has the right to share in scientific advancement and its benefits. Think about it this way: Issues that mix science and politics present some of today’s most daunting ethical questions. Did China for example violate the human rights of prisoners in 2001 by harvesting their kidneys and other organs without their consent? Do the victims of AIDS in sub-Saharan Africa have the right to effective pharmaceutical treatments that are beyond their financial reach? To reiterate, art. 27 (referred to above) affirms everyone’s right to participate in and benefit from scientific advances, and be protected from scientific misuses. A human rights-based approach to science, technology and development seeks to place a concern for human rights at the heart of how the international community engages with direct global challenges. In 1997 Kofi Annan’s call for human rights to be integrated into the UN’s mandates, management, and methodologies for development and international cooperation, was implemented. We need to know what goes on in the world and which scientific challenges we are faced with daily. It’s time for the world to stand together and revisit the importance of science, create new icons that the leaders of tomorrow can look up to and practice our right to enjoy the benefits of science in our daily lives and have a say as to where our money goes! 0 responses on "Where have all the good scientist gone and where are all the intriguing new inventions?"